Year 11 student Laura Ausling has reached the final of the University of Newcastle Business Plan Challenge. The competition continues to grow and this year 434 students from across NSW submitted business plans with an exceptionally high standard of entry. 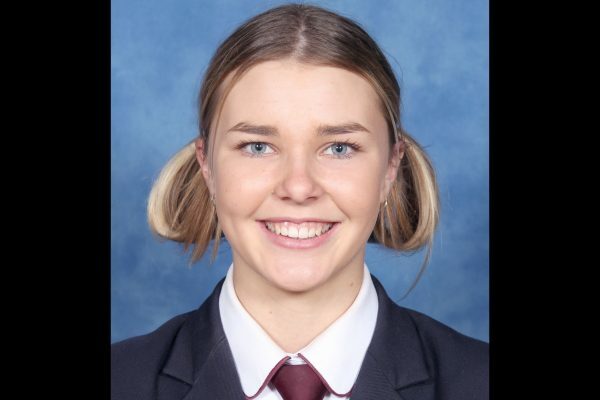 Laura has been awarded $1000 for making the Final and will vie for the winner’s $2000 prize against three other finalists from Hunter Valley Grammar, Hornsby Girls High School and Girraween High School. The Final will be held at the University of Newcastle Business School on Friday 17th November 2017. Laura’s business idea was “Desteenation” – a bus service to transport teenagers 10 to 17 years around the area giving parents freedom from being a taxi service and students the freedom to get out and about. Another Year 11 SCAS student, Luka Sagolj, also placed in the top 20 of the competition with his new restaurant concept of the Adriatic Cafe and Gelateria with its Croation/Italian inspired food. Each year St Columba Preliminary HSC Business Studies’ students produce a major work of a business plan for a new Port Macquarie business. This year the class of 18 students produced a terrific range of business ideas ranging from a Molecular Bakery and Geometric Night Club to a Surf Safari tour bus and the Burger Mobile. The class will accompany Laura to the Final where she will present a 15 minute powerpoint presentation in relation to her business concept. St Columba students have been finalists in this competition on four previous occasions, winning the competition in 2014 with alumni student Ben Robinson’s Jam Van Mobile Recording Studio offering. We wish Laura the very best and congratulate all Year 11 Business Studies students on the quality of their business plan work this year. Two staff and the Year 11 Business Studies class attended the University of Newcastle Year 11 Business Plan Challenge where four state finalists were invited to make a final pitch to industry and university staff. This year, 438 entrants were a part of this competition with Laura Ausling in this final four. In the event history, SCAS has had 4 student finalists in the competition and 1 state winner in 2014. Professor Morris Altman noted this is unprecedented and that schools typically have appeared only once in finals over the history of the event.